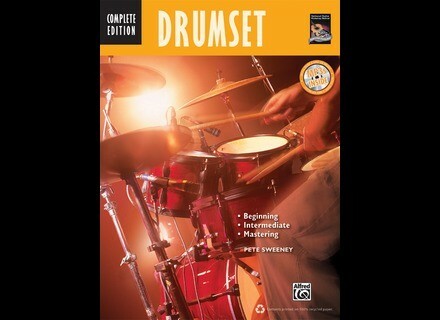 Drumset Method Complete Edition, Drums tuition/press from Alfred Music Publishing. Alfred Music Publishing released Drumset Method Complete, a comprehensive method comprising three books for drumset. Drumset Method Complete is described as "featuring all essential concepts in Complete Drumset Method: Beginning, Intermediate, and Mastering Drumset." Drumset Method Complete begins with fundamental concepts such as stick techniques, snare drum rudiments, accents, dynamics, and reading drumset music. At the intermediate level, topics include triplets, swing eighths, shuffle beats, the flam and drag, advanced rudiments, and practical topics for building endurance. The book concludes with advanced concepts such as multiple-bounce rolls, sixteenth-note funk beats, advanced sixteenth-note coordination, a system for creating drum fills, and examples in blues, Afro-Cuban, Brazilian, and jazz styles. In addition, an MP3 CD demonstrating examples and for playing along is included for each concept taught throughout the method. 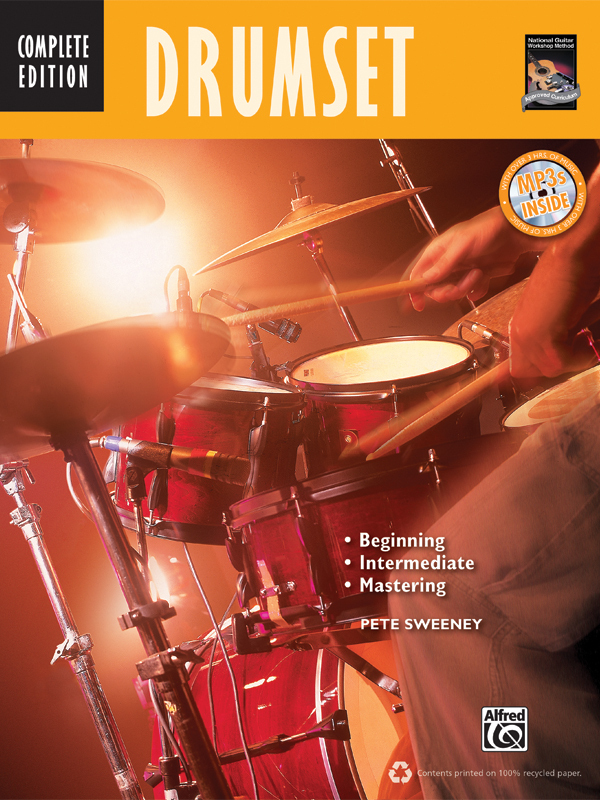 Drumset Method Complete is now available as a book and CD for $29.99. Pick up your copy at a local music retail store, or check out alfred.com. DW Performance Series Drum Workshop Inc. recently announced the addition of a mid-priced production drumset to its line of custom-built DW branded drums.